AMI’s Hawza Programme integrates the study of traditional Islamic sciences taught at the seminaries of Qom and Najaf with modern approaches and theories. 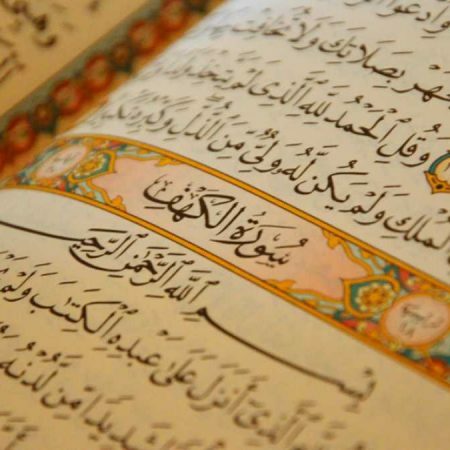 The programme equips students with the critical skills and knowledge required to read, analyse, and contextualise classical Arabic texts allowing them to engage in an in-depth study of religion, theology and language. During their studies, students are introduced to the core Islamic sciences including Fiqh, Usul al-Fiqh, Qur’anic studies, Theology, Philosophy, Logic, and Mysticism. Taught by a diverse range of scholars who have received the highest level of training in both traditional and western academic settings, the Hawza Programme ensures that students get the best of both worlds. Students can opt to undertake the 4-year full-time study route, or alternatively study on a part-time basis enrolling on a selection of modules each semester. The Institute’s online learning platform allows those who are not able to attend in-house to study via distance learning and gain access to lectures, seminars, and a wide range of learning materials. As of September 2018, students successfully completing the first three years of the Hawza Programme can obtain a Postgraduate Master’s degree in Islamic Studies awarded by the University of Birmingham in the fourth year. With a thorough grounding in both traditional Islamic sciences and academia, students will not only be able to pursue careers as religious ministers, but also work in academia, teaching, consulting media and governmental and non-governmental organisations. AMI has partnered with the University of Birmingham (UoB) to offer a Master’s degree in Islamic Studies. Students who successfully complete the first three years of the Hawza Programme (by achieving 450 credits out of 510 credits) will have the opportunity to obtain a Postgraduate Master’s degree in Islamic Studies awarded by and studied at the University of Birmingham (UoB), in the final year of the Hawza Programme. UoB’s MA in Islamic Studies programme will offer AMI students the opportunity to develop the knowledge and skills required in the study of Islamic Studies, in both historical and contemporary contexts, creating an ideal foundation for conducting further research. 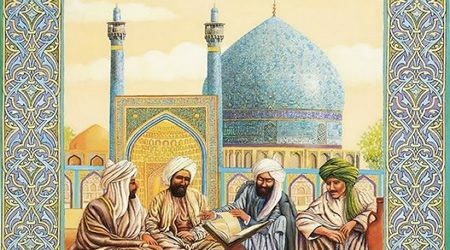 Having explored classical Arabic texts in the first three years of the Hawza Programme, students will have the opportunity engage with material that is at the forefront of contemporary academic research in Islamic Studies, mainly with a historical, sociological, contextual, legal, or philosophical emphasis. Please note: The MA programme is currently only available to study in-house at AMI and the UoB’s Edgbaston campus. To view the full structure of the MA programme, click here. Tuition fees for the Hawza Programme (full-time) are currently £5000.00 per annum. However, students who are unable to pay the full fees may apply for a tuition fee waiver which can reduce tuition fees to £150 per semester (totalling to £300 per year). AMI offers up to three full scholarships for UK/EU students enrolling on the Hawza programme. Scholarships include a full tuition fees, in-house accommodation and/or monthly stipends of £200. Find out more here. Exceptional students who successfully complete the Hawza Programme will be awarded a Post-graduate scholarship to fully fund their Post-graduate studies at UoB. Yes! Students who wish to study on the Hawza programme on a part-time basis can study up to five modules per semester allowing them to study for as long as it takes to achieve the required credits in order to continue on the MA in Islamic Studies programme at UoB. AMI’s Hawza Programme, delivered entirely in English and Arabic, is based on a modified version of the syllabus studied in the traditional Islamic centres of learning. The intensive and focused mode of study allows the four-year course to cover aspects of traditional seminary studies, generally lasting between eight or nine years in the Hawzas of Qom and Najaf, whilst ensuring that the quality of learning is not compromised in any way. The defining characteristic of the programme is its emphasis on critical thinking and non-dogmatic teaching, equipping students with the skills to address the diverse and changing needs of contemporary society. The intensive Arabic training at AMI is focused on allowing students to develop the advanced philological skills required to independently understand, analyse, and critically engage with the Arabic of the Qur’an and Muslim scholarship. Accordingly, the course is constructed of modules dealing with language (lugha), grammar (sarf wa nahw), Arabic rhetoric (balagha) and Qura’nic morphology (i’rab al-Qur’an). 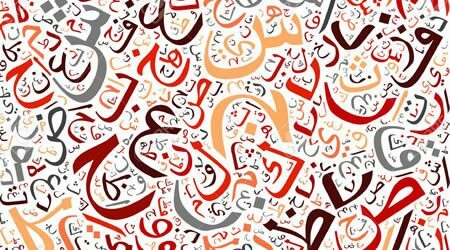 No prior knowledge of Arabic is assumed beyond the ability to recognize and pronounce the Arabic alphabet. In the first year, students commence with introductory texts designed for non-native speakers. 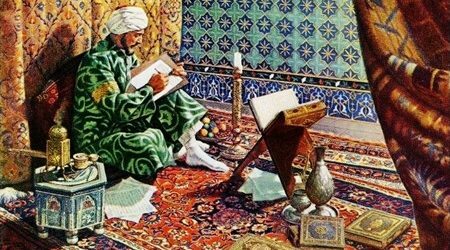 By year three, students are capable of studying the advanced classical works traditionally employed for the teaching of Arabic, such as the Sharh of Ibn Aqil. 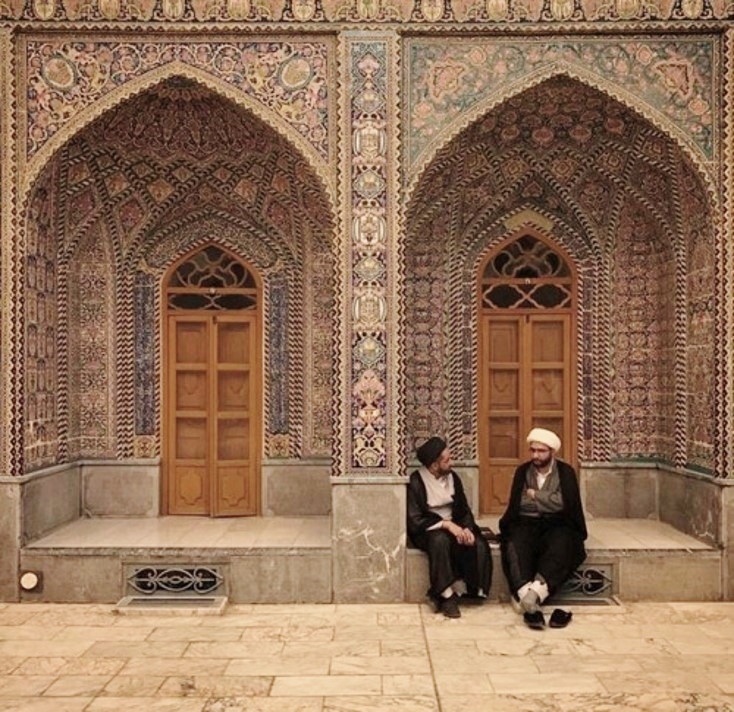 Although not a central part of the traditional Shi’i Hawza curriculum, the hawza programme at AMI places great emphasis on the study of history. 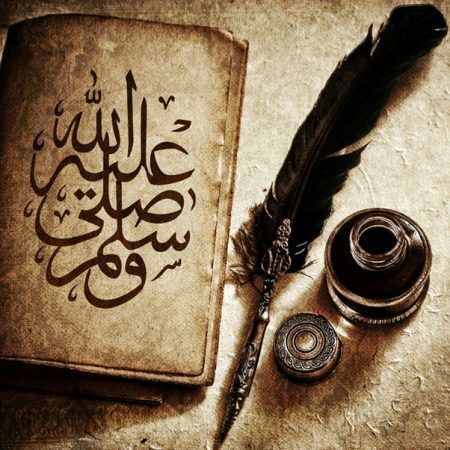 The central themes and periods covered include; Pre-Islamic Arabia, The Life of the Prophet, Post-Prophetic Period and The History and Development of Shi’ism and its schisms. Beyond the subject specific knowledge that this study brings, students are equipped with the bibliographical and analytical tools needed to critically engage with a breadth of primary source material in Arabic, as well as with the secondary surveys written in the English language. In scholarly terms, fiqh is defined as a detailed knowledge of Shari’a laws with their specific evidences and justifications. Throughout the programme, students are given a comprehensive and progressively detailed study of these laws and the debates surrounding their justifications. After introductory modules on the historical development of fiqh alongside reading of Alllama Hilli’s classical Tabṣirat al-mutalimin, students go on to study Baqir Irwani’s al-Fiqh al-Istidlali. Here, they will critically engage with the justifications of the entire breadth of fiqhi laws, ranging from the method of wudhu (ablution) to the conditions governing the validity of financial transactions. In the fourth year, students will move on to read selected themes from more advanced texts, such as Sharh al-Luma’a and al-Maqasib. Usul al-Fiqh is a discipline that studies the general principles involved in the inference of the laws of fiqh. An in-depth study of Usul al-Fiqh has been a central part of the training of scholars throughout the history of Shi’i scholarship. Following this tradition, students are given a comprehensive grounding in all the theoretical discussions of Usul al-Fiqh based on a traditional curriculum, supplemented by relevant discussions from philosophy of language, hermeneutics, moral philosophy and epistemology. Introductory courses are based on Abd al-Hadi al-Fadli’s Mabadi al-Usul, and Baqir al-Sadr’s Halaqat al-Uwla. This is followed by a close and complete reading of Muhammad Rida Muzaffar’s text Usul al- Fiqh. The Hadith are defined as reports that transmit the sayings, actions and tacit approvals of the Prophet Muhammad and his impeccable progeny. Above and beyond extensive analyses and contextualisation of the content of traditions, the study of Hadith entails a further detailed study of both the classical disciplines involved in the categorisation and authentication of these traditions i.e. ‘ilm al-diraya and ‘ilm al-rijal. These theoretical studies are supplemented with supervised practical training in the application of the rigorous traditional method of authenticating Hadith, ensuring that students gain the skills required to independently conduct this process. Through this practical training, and with reference to broader studies, students can engage with the criticisms levelled at this system, as well as gain a thorough first-hand experience of the meticulous nature of the traditional approach. This course examines the origins, history and development of Mysticism in Islam. Students will be taught the central motifs of its divisions (theoretical and practical) in the mystical literature, with a critical reading of key texts. The major themes in theoretical mysticism are taught from the renowned works of Jalal al-Din al-Rumi and Ibn ‘Arabi, and practical ‘Irfan from Abu Nasr ‘Abdullah bin ‘Ali al-Siraj al-Tusi’s al-Luma’a fi Tarikh al-Tasawwuf al-Islami. The Qur’anic Studies program at AMI is composed of two key elements. The first of these consists of a study of ‘Ulum al-Qur’an, a classical theoretical discipline which tackles questions such as the authenticity of the Qur’an and its compilation, the nature and manner of revelation and the structure and themes in the Qur’an. The course is based on readings from al-Talkhis wa al-Tamhid of Hadi Ma’rifa, combined with extensive reference to works of the most prominent Orientalists and contemporary scholars of Qur’anic studies. The second element introduces students to ‘Ilm al-Tafsir, studying the theoretical principles and different approaches to the exegesis and interpretation of the Qur’an. With this background, students begin their study of Tafsir al-Qur’an itself. This not only involves the traditional atomistic and thematic approaches to Tafsir, but also allows a critical engagement with the application of emerging hermeneutical approaches to the Qur’an at a stage where students are expected to draw upon the theoretical skills acquired in their studies of Arabic, Hadith, Usul al-fiqh, Theology, Mysticism and Philosophy, to enrich their appreciation of what Muslim’s believe is the Word of God. After an introductory module surveying the different schools and historical development of Muslim theology, students undertake a close reading of Allama Hilli’s classical Shi’i text, al-Bab al-Hadi ‘Ashar. The central themes of Muslim theological doctrine, including the arguments for the existence of God, debates over predestination and free will, theodicy, Prophethood, Imamology and Eschatology, are then further critically examined with reference to both the contemporary work of Jaffer Subhani’s Illahiyat and the classical work of Kashf al-Murad fi Tajrid al-Ittiqad, by Allama Hilli and Nasir al-Din al-Tusi. This course introduces students to the historical origins of Muslim philosophy, including the major philosophers and their works. It critically examines the philosophical ideas of the Peripatetic, the Illuminationist and the Transcendental Schools of philosophy in Islam. After the first year, students undertake a comprehensive study into the transcendental philosophy of Mulla Sadra, through a close reading of al-Tabatabi’s Bidayat al-Hikma. Logic is defined as the study of the rules and principles governing sound thinking. This classical science is taught throughout Shi’i seminaries as the epistemological framework for the Muslim intellectual disciplines. It gives students a deep insight into this framework, critically engaging with all the major themes of the discipline including ‘Concepts’, ‘Assents’, and ‘the Five Arts’ based on readings from Muhammad Rida Muzaffar’s al-Mantiq. The Hawza Programme consists of two 17-week semesters each year from September to February and March to July with classes typically taught on Mondays to Thursdays at 9:00am – 4:30pm. At the end of each semester, students are assessed by a range of assessment methods including assignments, written exams, oral exams and class presentations. The Course structure below outlines the modules taught in each semester over the course of four years. Full-time students would be required to undertake all modules, whereas, part-time students may enrol on a maximum of five modules per semester. Upon successful completion of the first three years, students have the option to either continue on to the MA in Islamic Studies Programme at University of Birmingham (UoB) or, complete their final year of studies at AMI. Modules marked with an asterisk (*) below are entry-level modules which are available for anyone to enrol on. All students entering the Hawza Programme must be able read basic Arabic. Students who wish to enrol on non entry-level modules, must fulfill the Module Prerequisites. Please note:To graduate from the Hawza Programme, students must achieve a total of 520 credits out of a total of 580 credits over the four years. For students who are unable to study in-house at the Institute, AMI also offers its Hawza Programme via the distance learning route enabling students worldwide to access the programme from anywhere and at any time. With state-of the art smart boards, audio equipment and class-recording software, students can gain access to lectures, seminars and a wide range of learning materials through the Institute’s online learning platform, Canvas, which is available to access on laptops, smartphones, handheld tablets and desktop computers. Applications to study on the Hawza programme via distance learning can be submitted in the same way as regular applications. Click on the ‘Apply Online’ button above submit your application. Tuition fees for Full-time study on the Hawza Programme are currently £5000 per year. Students who cannot afford to pay full fees are eligible to apply for a 100% tuition fee waiver. This means, students would only be required to pay a £150 Registration fee per semester, totalling to £300 per year. AMI offers all prospective UK/EU full-time, in-house students the opportunity to apply for a limited number of scholarships. The range of scholarships available are awarded based on merit and may entitle applicants to receive a full-waiver on tuition fees, on-campus accommodation and/or monthly stipends of £200 for the full duration of the Hawza Programme. Currently, AMI does not offer any scholarships for international students. However, international students can still study the Hawza Programme via the distance learning route. UK/EU Students who wish to apply for a scholarship to support their studies can do so by submitting a personal statement along with their Hawza Application form. The Personal statement should explain why you wish to study the Hawza Programme at AMI, what you hope to gain from studying on the programme, what your future ambitions/goals are and how the scholarship will aid your studies. Scholarship applications are reviewed by the selection committee on the 1st July and 1st August of each Academic year. Students who successfully complete the first three years of the Hawza Programme and wish undertake the MA in Islamic Studies programme at UoB in their final year, may be eligible to apply for a Post-graduate scholarship to fully fund their studies. Up to three of the best students each year, will be awarded the scholarship based on their overall performance and results over the first three years of the Hawza Programme. Please note the MA in Islamic Studies programme at UoB is only available for study on-campus at AMI and UoB. It is not currently available to study via distance learning.